When considering easy DIY projects, people often overlook the room in which they spend a reasonable amount of time each day: the bathroom. Between getting ready for work and unwinding with a relaxing soak in the tub, the bathroom sees its fair share of use. That’s why it’s important that the space is a place of comfort and relaxation. If your existing bathroom has the opposite effect, a few simple changes can make a world of difference. Here are five DIY bathroom projects that will give your bathroom a makeover without breaking the bank. Attending college for the first time is a new and exciting experience. They get to experience living in a new location, making new friends, and taking care of themselves for the first time. But for many students, it can be overwhelming thinking about all of the new changes. You can help make their transition to college smoother by providing them with the essentials they need for the first year. Then, they can feel confident and prepared for a successful school year. Besides adding color to your backyard or your kitchen windowsill, an herb garden can take your home-cooked meals to a whole new level. Best of all, you don’t even need a green thumb to plant, maintain and harvest these easy-to-grow plants. Here’s how to turn an empty planter or unused parcel of your landscaping into a beautifully fragrant and practical herb garden. Before you decide to sell your home, there are many upgrades and factors to take into account. One of those often understated factors is paint colors. 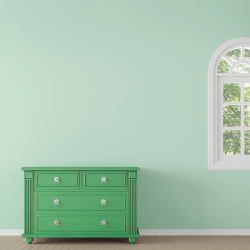 Believe or not, exterior and interior paint colors can make a sizable difference in the price of your home. If you are planning to put your house on the market soon, here are some painting tips for selling your home for more value. Music and the smell of fresh burgers on the grill waft through the air, the sun shines down on a warm summer day, and everyone is out enjoying some fresh air and fireworks. For Americans, July 4th is a day to come together and celebrate independence. 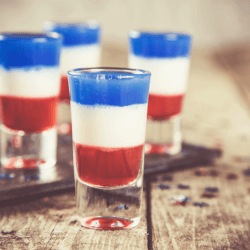 Here are some July 4th backyard party ideas for your own Independence Day celebration. For most homeowners, having a well-manicured lawn is a must. You enjoy the look a manicured lawn and want to ensure you can keep up with the yard work on a consistent basis. To do so, you will need to have a lawn mower that continues to operate effectively. Therefore, regular maintenance is important for your lawn mower to stay in quality operating condition. Learning how to tune-up your lawn mower allows you to save money on maintenance costs as well as stay on track with grass cutting. Every homeowner dreams of creating a space that is warm, inviting and cozy. And whether you are planning a home remodel or preparing to sell, there are numerous ways to make your home a little more “homey”. Lighting, for instance, can easily complement the comfort and appeal of your home. Not to mention, learning how to add lighting to the home can increase the value as well. Check out a few lighting ideas for your home below to keep the inspiration flowing. Concrete may not be the first material you think of when it comes to DIY projects, but it’s surprisingly versatile. 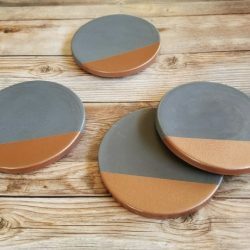 Whether you’re tackling a big or small project, you can make various fun and useful household items using concrete. Many of which only require a single bag of concrete mix. So, if you’re looking for a non-traditional DIY project, look no further than DIY projects with concrete. Your weekend is officially planned out! Owning a home is a luxury, as well as a fun experience. And, having a home that is environmentally friendly is an even better experience! 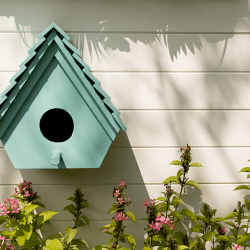 If you are looking for ways to make your home and yard a little greener, read further for some green DIY projects. These projects are a simple, easy, and fun way to do your part for the environment. Choose one or try them all, and create a green living space right in your own home. When it comes to changing up the look of your home, nothing is more affordable or does the trick quite like paint. Paint can be used in several ways to change the style of any room, from painting the walls to the furniture and beyond. Here are a few fun and easy painting ideas for DIY projects in the home.